Wolf is proud of our men and women in the U.S. military and their safety is our priority. 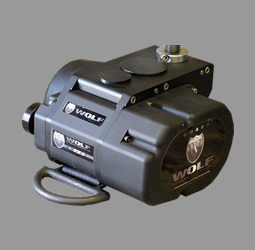 The Wolf team has designed, developed and tested the Universal Mobile Aircrew Restraint System (UMARS), an energy-absorbing restraint system for the mobile aircrew in military helicopters and fixed-wing aircraft. 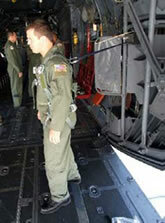 UMARS helps to mitigate risks inherent in the operation of military aircraft. The system, shown in the bottom picture in the mounted configuration, is a reel-based tether system that incorporates an energy-absorbing damping system in the reel that is automatically activated whenever the webbing exceeds a threshold velocity, such as would happen during an evasive maneuver, crash or hard landing. The crewmember is slowed gradually, mitigating the risk of injury and fatality. The tether payout is also limited in order to restrain the crewmember inside the aircraft at all times. The system was designed, developed, tested and flown by Wolf personnel under contract to the U.S. Air Force. Flight testing during the Patriot Exercise in July 2008 was very successful. If you believe UMARS is applicable to your needs or you would like further information, please contact us at 800-783-9653. We would be happy to provide additional information.